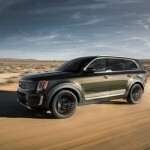 The all-new Kia Telluride debuted last month as the Korean brand’s largest utility yet. 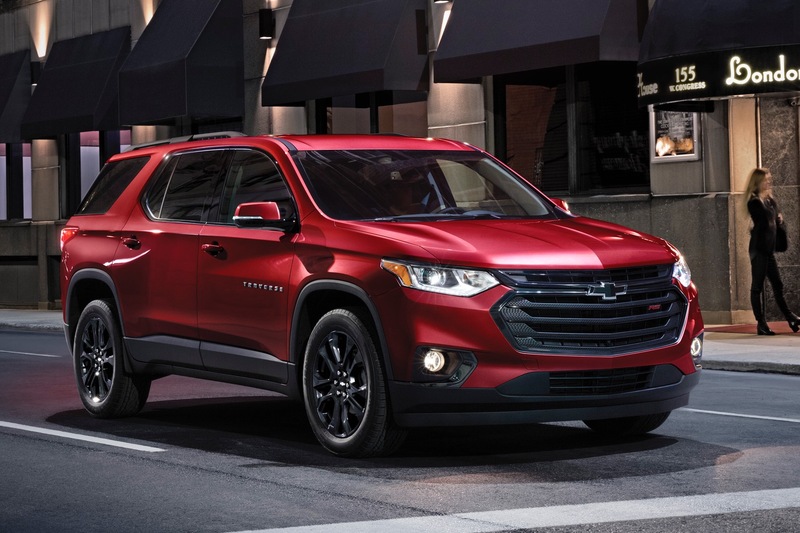 Designed specifically for the U.S. market, the full-size crossover will be built in the state of Georgia and will be a direct rival to GM’s Chevrolet Traverse in the full-size, three-row crossover SUV space. Let’s take a closer look at what the Chevy Traverse will be up against when the Telluride launches later this year. 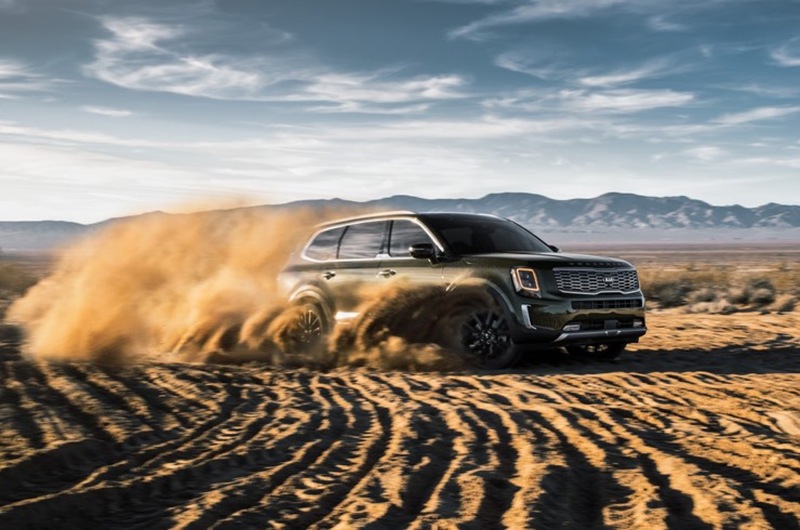 The three-row Telluride enters the extremely competitive full-size crossover SUV market to compete against seasoned veterans like the Chevrolet Traverse, Ford Explorer, Dodge Durango, Toyota Highlander, Volkswagen Atlas, Honda Pilot, and Nissan Pathfinder. 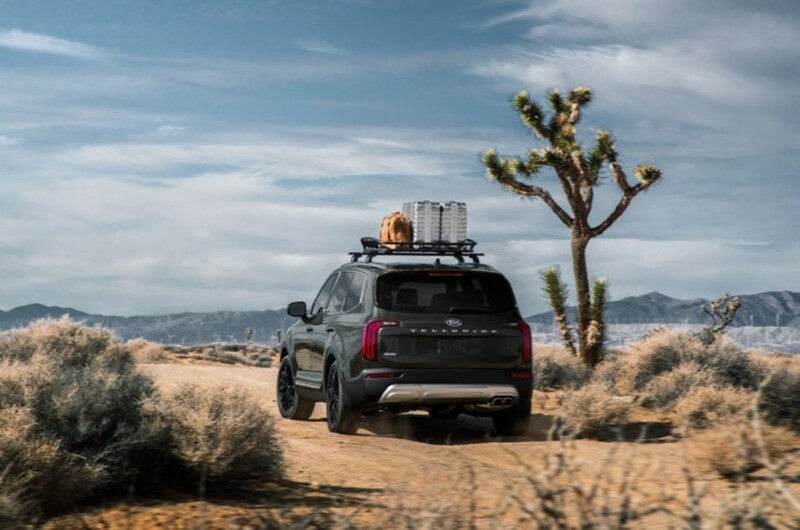 As a full-size CUV, the 2020 Kia Telluride will slot above the mid-size Kia Sorento, offering a more spacious cabin that can seat up to eight people comfortably. The Telluride also measures several inches longer and wider than the Sorento. We should also note that Kia also offers will the Sedona minivan as part of its lineup. With the Telluride directly entering the full-size space to take on the Traverse, the Kia Sorento will then directly take on the Chevrolet Blazer. 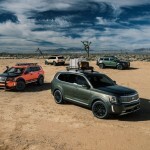 The strategy seems to mimic the strategy undertaken by Kia parent, Hyundai: it introduced the all-new Palisade as a full-size, three-row crossover, while repositioning the Santa Fe as a midsize, two-row crossover. 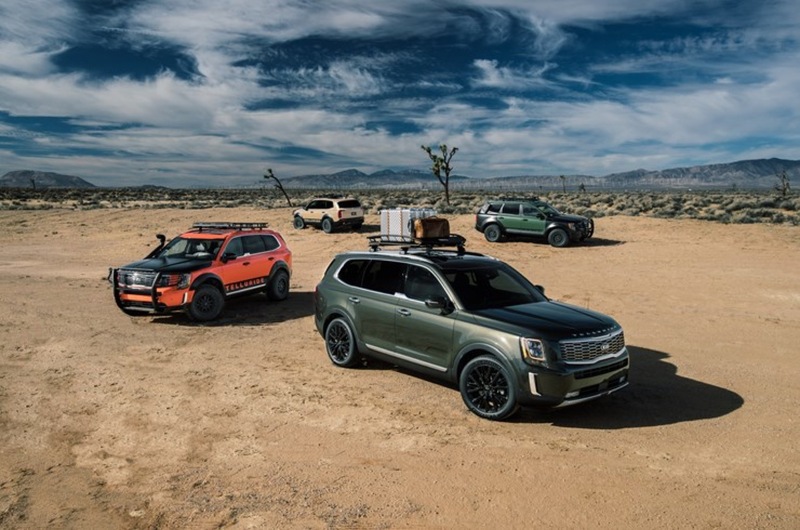 The Telluride is the biggest SUV Kia has ever offered. It boasts a bold, boxy and rugged exterior styling. The main design cues include a long, broad hood and wide grille with stacked headlights. The upright windshield and clean side profile emits a “can-do” attitude and looks ready to take on any road. The inverted “L” taillights include LED stripes some trim levels. There is also a sculpted skid plate at the rear with integrated exhaust tips. 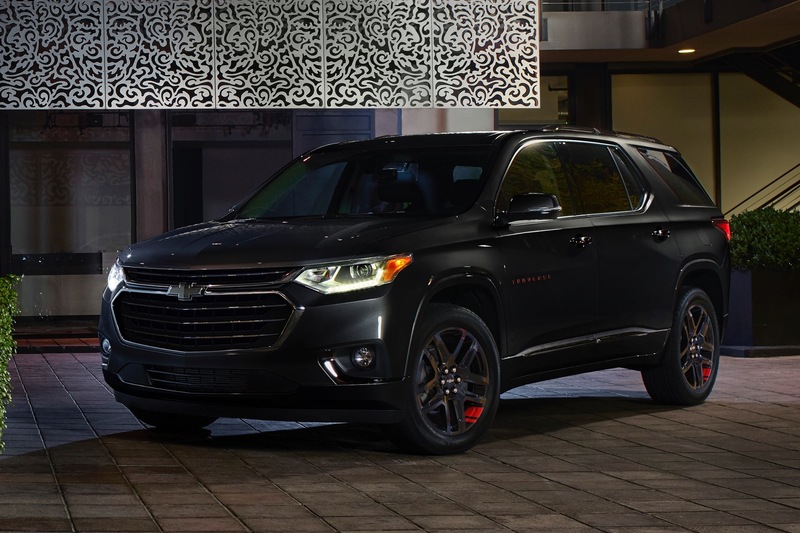 The elongated nameplates on the edge of the hood and liftgate remind everyone of the name. Inside, a luxurious cabin features the expected set of technologies, creature comforts and safety features, along with a few standouts. 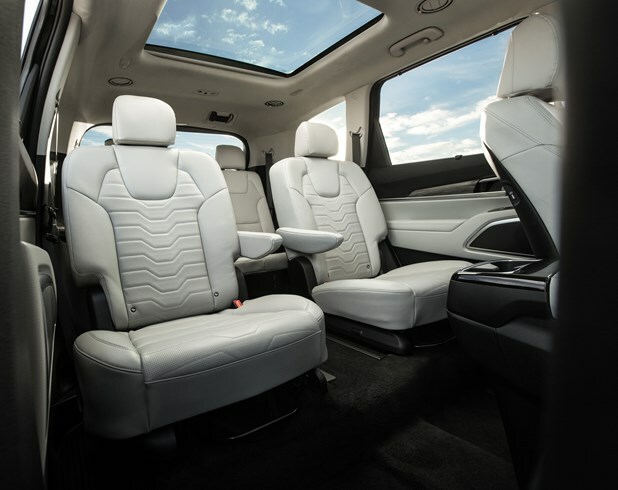 Three rows of seating fit up to eight occupants on the available, double-stitched, quilted and extra-padded Nappa leather. The simulated brushed metal and matte-wood finishes further elevate the cabin’s perceived quality. The leather-wrapped, tilt and telescoping four-spoke steering wheel can be heated. Other available features include heated and ventilated seats for all three rows, separate rear climate control, and reclining third-row seats. 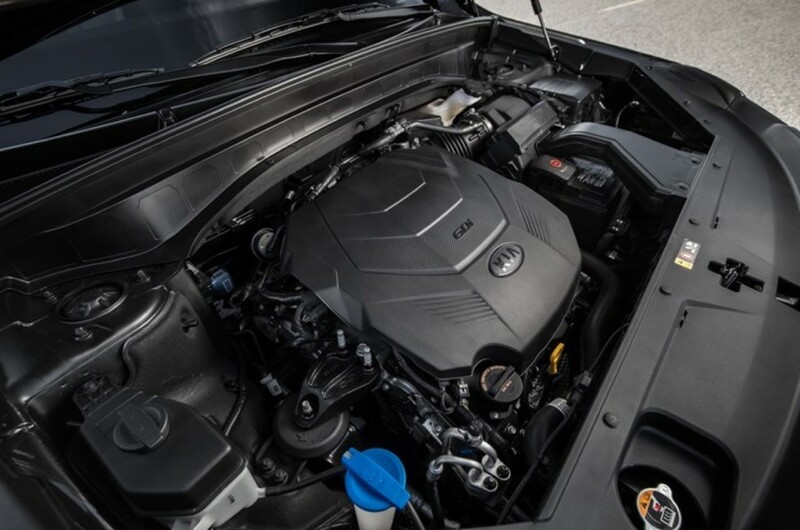 The new Kia full-sizer also offers advanced automotive technology, including the “Kia Drive Wise” suite of Advanced Driver-Assistance Systems, in addition to an already lengthy list of standard and available equipment. Apple CarPlay and Android Auto are standard. Consumers can also opt for a 10.25-inch touchscreen with parking guidance, a 630-watt audio system with 10 speakers, wireless smartphone charging with six USB ports, multi-device Bluetooth connectivity, a head-up display, in-car PA system, and much more. Vehicle safety features include seven airbags, antilock braking, tire pressure monitoring, downhill brake control, hill-start assist control, and vehicle stability management. 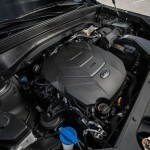 Under the hood, the new Kia Telluride comes standard with a 3.8L V6 GDI engine with an Atkinson Cycle setup making 291 horsepower and 262 pound-feet of torque. An eight-speed automatic transmission sends the power out to the front wheels in the standard setup. An available on-demand all-wheel-drive system with electro-hydraulic coupling can further split that power to be 65-to-35 between the front and rear wheels. The power combines with the Telluride’s rigid, high-strength steel monocoque shell to deliver a tow rating of up to 5,000 pounds. One interesting feature is the self-leveling rear suspension. Optional on the EX and SX trims, it automatically calibrates ride height depending on vehicle load in order to optimize ride control and stability. The Telluride is engineered to perform in a variety of different conditions while offering a confident and enjoyable driving experience. Four drive modes – Smart, Eco, Sport, and Comfort – individually adjust the steering effort and power delivery to fit the driver’s needs. There’s even an all-wheel-drive differential lock for tougher terrains, and a Downhill Brake Control (DBC) that maintains a controlled descent on steep roads. 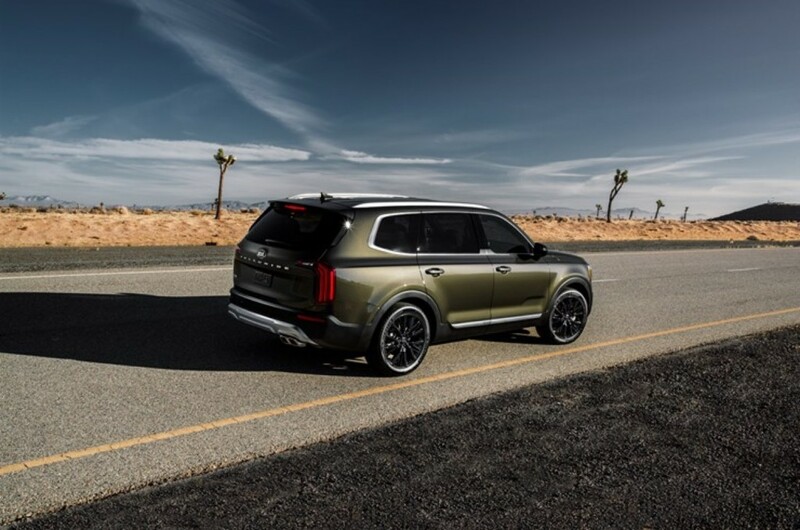 The new Kia Telluride will be offered in four trim levels: LX, EX, S, and SX. Exact packaging details and pricing have not yet been announced. That said, the model is expected to launch in mid-2019 with a starting price in the low-$30,000 range. By comparison, the MSRP of the Kia Sorrento ranges from $27,335 to $47,535. 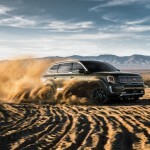 The full-size, mainstream crossover SUV segment is heating up with competent new entrants like the new Kia Telluride, which appears to be an attractive, competent, value-laden and competent offering with some unique styling flair that, at first glance, seems to stack up rather well against the Traverse. 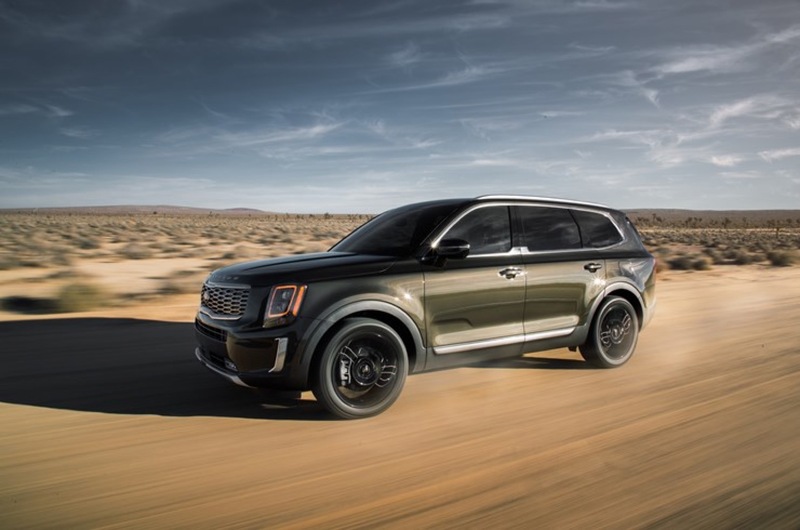 Over the past 18 months, four automakers have entered the space, including Hyundai with the aforementioned Palisade, Volkswagen with the Atlas, Subaru and its Ascent, and this here Kia Telluride. 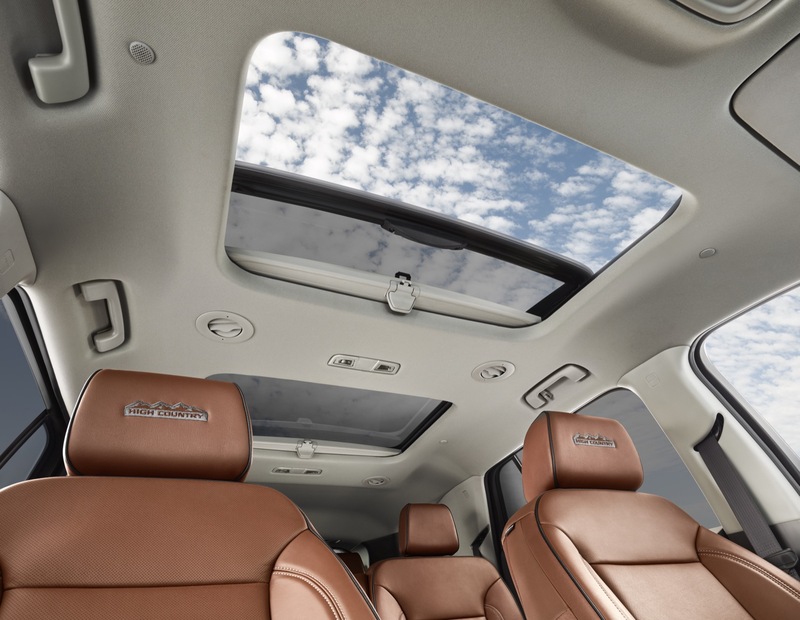 Meanwhile, the segment sales leader – the Ford Explorer – just got a complete overhaul for the 2020 model year. 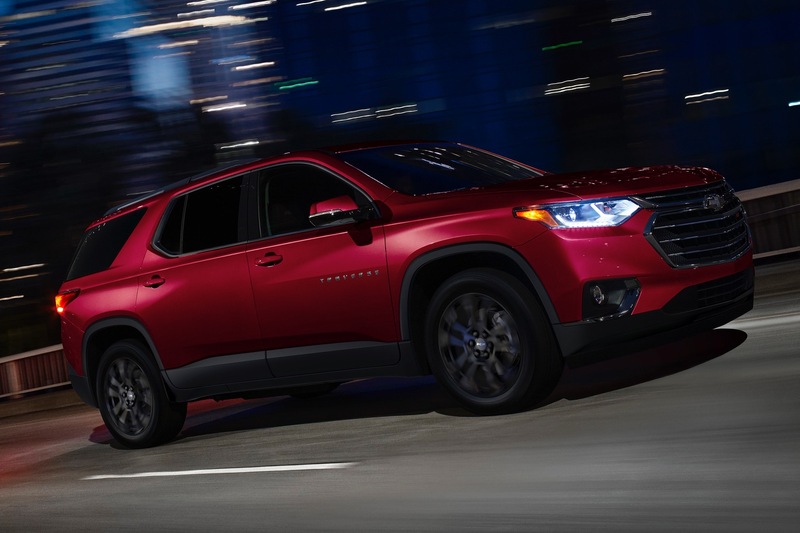 All that mens that the Traverse, itself an attractive and well-rounded product, will have to fight harder to earn sales in this increasingly competitive segment. 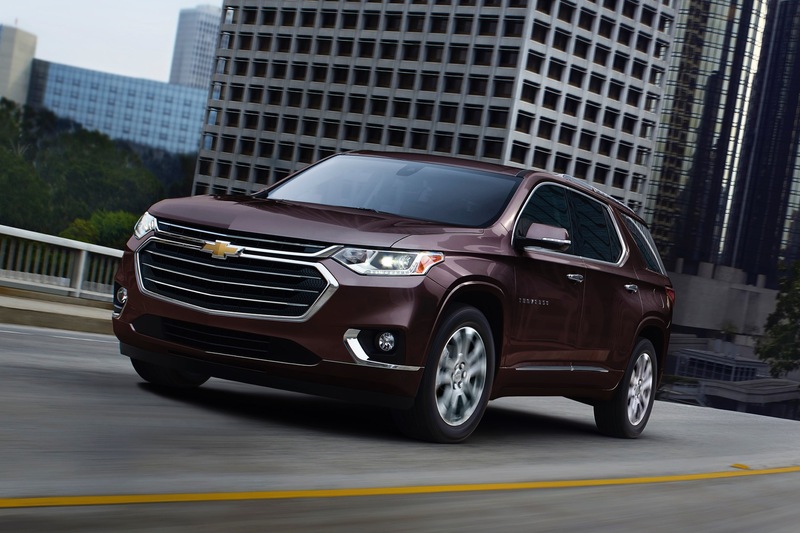 Stay tuned to GM Authority for more Chevrolet news and Chevy Traverse news coverage. While Chevrolet’s thought of installing a 4-cyl engine might be a grand failure given that the 2.7L DOHC-4v 4-cyl turbo needs to work too hard in a large Silverado; one has to wonder how this same engine may perform in the much lighter Chevrolet Equinox.. they could even lower the boost as 310 hp at 5,600 rpm and 348 lb-ft at 1,500-4,000 might not be required. 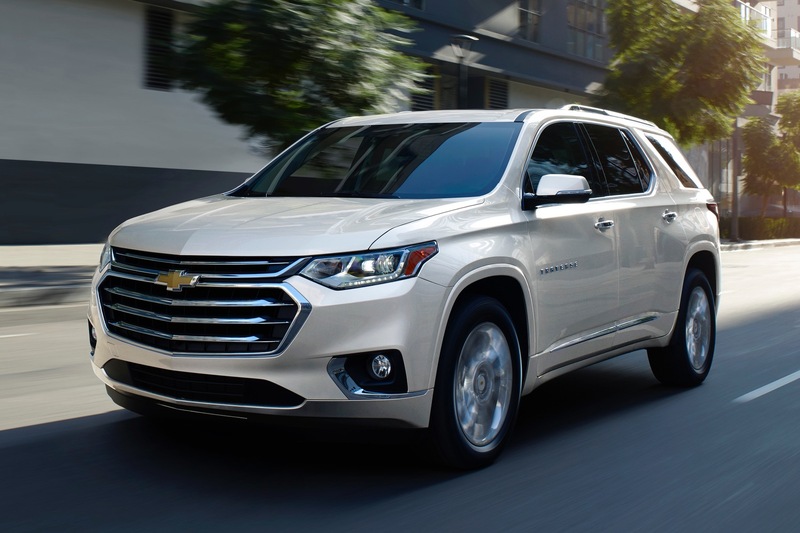 Honestly, the 2.7L turbo-4 would be perfect to replace the V6 in most versions of the Traverse. It’s the torque at lower RPMs that’ll bring it to the next level of performance and be a legitimately valid replacement. To expand on this somewhat (responding to my own comment lol), I think the V6 should be offered as an option on the Premier and standard on the High Country; the relative smoothness, refinement, and less “offensive” noises would make sense in that regard, as long as it’s tuned properly. See below for argument on the 2.7L being the standard engine though. A detuned and slightly reworked version of the 2.7L I4 (probably want to be looking at about 270 HP and about 300 LB-FT in my opinion) would be fantastic for what a lot of people actually use these vehicles for – around town duty and short highway trips, where most people won’t ever need to go above 3500 RPMs in the first place. Connect that to the 9-speed auto and you’ve got a winner in my book. See, I actually really like the Traverse. Well, most of it. The V6 runs nice, transmission shifts smooth, it has modern tech, tons of room. Hell, there’s more room in the 3rd row than the Tahoe. What it REALLY needs, however, it less obviously cheap hard-touch plastics everywhere – especially on the upper door panels. I honestly believe all of the GM vehicles would benefit from having soft touch materials on all the upper door panels across their lineup; it not only looks better but feels better for a place people actually touch on a semi-regular basis. In addition to that is that the existing soft-touch portions need more padding. I firmly believe as you go up in trim level and pricing, there needs to be noticeable improvements in materials and fit/finish. 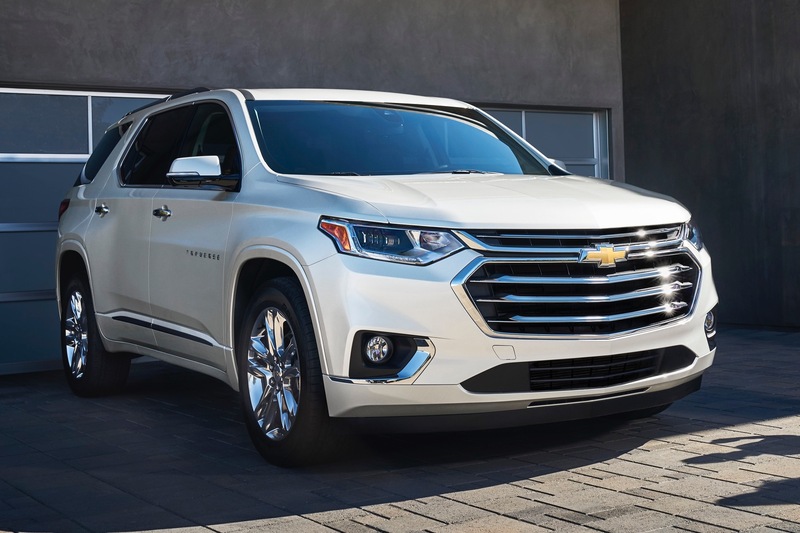 As it stands right now, there really isn’t – you get essentially the same door panels and dashboard regardless of how much you pay in a Traverse. A High Country, beyond an exclusive color, doesn’t feel any nicer than a Premier. A Premier doesn’t feel any nicer than a Leaher-optioned LT. So on and so forth. The Telluride is built in the USA. That is worth mentioning. And it looks better inside and out than the Venture. I mean Uplander. I mean Traverse. Maybe you could have a box of Korean parts sent to your bridge. You’ll be the envy of the troll village. Where it’s made is mentioned in the first paragraph. Nicely done, genius. Of coarse it was, as another poke at GM. Jofa didn’t suggest that magirus’s village was in Georgia and even if it was. There surly would still be a bridge! We passed over the Regal GS Sportback this year to purchase a Stinger GT2. We have no regrets whatsoever. Our Envision lease is up in October and it is going to come down to the Telluride and the Enclave Avenir. Buick is a great comfort ride but Kia is stepping up their game. Notice the details in the Kia – metal. Or what looks to be metal. Traverse is a nice vehicle but Chevy and GM as a whole need to up their game to stay competitive. Agreed that the 2.7T would be a good engine in the CUV lineup. Still not sure why they want to stick it in the full size trucks and (hopefully not) full-size SUVs. Hell, take a look at the new 2020 Ford Explorer. Say what you might about the somewhat strange-looking front end; the interior is gorgeous, modern, and looks to be hyper-competitive materials-wise. I don’t mind that companies cheap out; the Kia Telluride has fake metal and wood everywhere. The thing is that they cheap our very, very intelligently – they finish the cheap materials so well that your average consumer wouldn’t know the difference. GM’s core problem is that they basically show off their cost-cutting. They don’t have any interesting graining for their hard plastics. There’s no attempt whatsoever to hide that their wood is usually super-fake. There’s usually no attempt to hide that they cheaped out on something, and maybe that’s the bigger issue than the cheaping out itself. 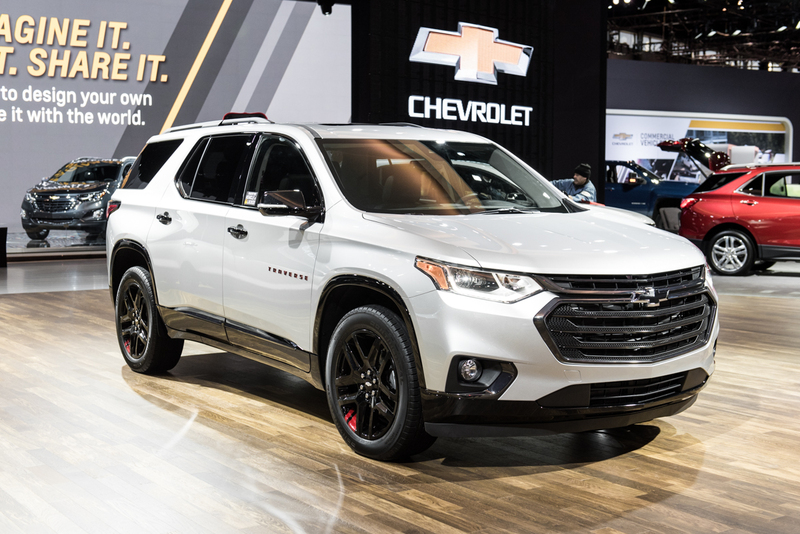 To finish their materials off better (though I do believe that a soft-touch upper door panel is an imperative basic requirement in today’s market, and GM does need to fix that in the Traverse and Blazer) wouldn’t honestly cost them that much more. I thought that this was Cadillac XT6. The Kia actually has a more premium design. Traverse, a cheap Tahoe clone, doesn’t hold a candle to this design. GM needs to focus on details. FCA with RAM is besting Chevy due to a a focus on great interior design. GM wants to charge a premium. In exchange they must provide a premium-like focus on details experience or risk becoming a smaller player in higher margin segments. Both the Traverse and the Telluride have cheap interiors. The difference is the Kia looks more premium now but will look like crap in 5 years. The Traverse looks more mundane now but will look showroom new in 5 years. Simply different priorities for different customers. I’m sorry, but that’s just not true. I work with GM vehicles every single day at a dealership. I’ve owned a 1993 Lumina, 2001 Malibu, 2014 Malibu, and now a 2016 Malibu. I like the cars, they’re great vehicles that I’ve always enjoyed driving. I can assure you the interior of my 2016 Malibu at just 28,000 miles looks anything but showroom new. I am not rough on my cars; I treat my leather using high-quality products; I get my car detailed on a semi-regular basis. The driver’s seat is starting to become brittle, particularly in the corners and outer edge. This isn’t a unique issue; the same exact thing happens in everything from the Cruze to the top-end Silverado to used but well-maintained Tahoes. They do not use good quality leather/leatherette. Simple, unfortunate truth. Sorry about your malibu but I’ve personally had better experiences with GM. And I’ve had better experiences when I do not use any products on my leather. Also remember that cheap/lightweight leatherette is not exclusive to GM. Look in any 10 year old Audi, for example, and it is in rough shape 9 times out of 10. My experience has been that the plastics used on GM interiors are very abrasion and scratch resistant. Whereas in luxury brands you get a lot of piano black plastic, funky textured materials that initially seem “nice” but they tend to scratch very easily and also don’t seem very UV resistant. This Kia’s styling is nothing new and I don’t care for the black oversized wheels but the interior does look more upscale. It’s interesting to note that Kia’s larger 3.8 V6 puts out less HP and Torque than either the Traverse’s older LFX based 3.6 or the newer LGX 3.6 in the Acadia\Blazer.